When it comes to custom performance racing and diesel engine building, Performance Engineering is your local, full service expert. We specialize in fine tuning your high end performance racing engines and we have been providing custom performance engine, diesel engine, and racing engine building for more than 30 years. 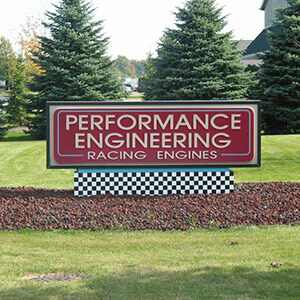 Performance Engineering Racing Engines, Inc. has been the number one source for comprehensive performance engines since 1985. Our team of trained professionals offers their expert advice and skills to provide you with custom performance racing engine building and diesel engine building that you can trust. We specialize at fine-tuning your high-end performance racing engines, and we work from a full engine machine shop to ensure that the job is done right and to the best of our abilities. If it’s quality custom engines you’ve been looking for, your search ends here with us. We’ve been building and customizing diesel engines and racing motors for more than 30 years. Whether you need a custom racing engine we’re the best you’ll find in the areas. We use high quality tools and parts in the customization and building of your engine to ensure optimal results. We were featured on MSNBC in 2006 for performance racing engine customization and building. Does your racing engine need some find tuning in order to reach its full potential? Don’t go to just any shop. Performance Engineering Racing Engines, Inc. is your comprehensive source for top quality engine customization and construction that will get you on the track with confidence!